Experience cutting edge features but with more stability. 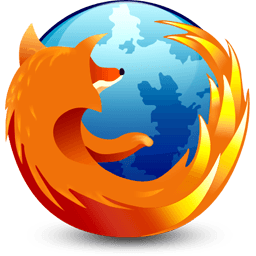 Mozilla has switched Firefox to a rapid release development cycle which means new versions will come more frequently. The non-profit organization has promised to push out a new stable build every six weeks. The Awesome Bar learns as you use it—over time, it adapts to your preferences and offers better-fitting matches. We’ve tweaked it to give you greater control over the results (including privacy settings) and increased performance so you find what you need even faster. We’re always looking for ways to make your browsing easier and more efficient. Tabs are above the Awesome Bar to make it easier to focus on the content of the sites you visit. All your menu items are now found in a single button for easy access. Manage your bookmarks in a single button. Find your favorite links without getting bogged down. Your Awesome Bar now features one easy button to stop loading pages or reload pages. The Home button has been moved to the right side of the search-field. Browse multiple sites at once, simply and easily. Each new site appears as a new tab (not a new window) and can be accessed in one click. Take sites you always keep open—like Web mail—off your tab bar and give them a permanent home in your browser. As you’re opening a new tab or typing in the Awesome Bar, Firefox will check to see if you already have that site open. If you do, you’ll be directed to the existing tab so you don’t open a duplicate. Firefox helps you get to your next task faster than ever by displaying a set of thumbnails of your most recently and frequently visited sites every time you open a new tab. You can also customize this page by adding, removing or reorganizing sites to get to where you want to go in one click. If you accidentally close a tab or window, you can reopen it in one click. Just view Recently Closed Tabs or Recently Closed Windows in the History menu and select the tab or window you’d like to reopen. Like to have all 20 of your favorite pages open at once? An elegant new feature lets you scroll through tabs easily to see them all and access the one you want quickly.